Rogue One‘s motley crew of traitors, saboteurs, terrorists and criminals made for a fascinating departure from usual Star Wars fare, their all-too-brief on-screen appearances leading fans to speculate about the exciting adventures they’d been on prior to the events of the film. One of the biggest questions was how Cassian and his droid buddy K-2SO came to travel with one another. 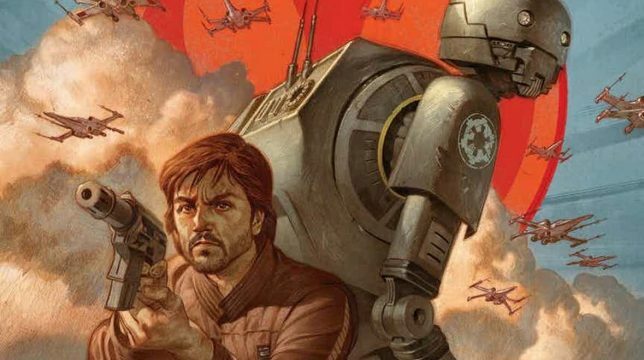 It’s something that many fans have been wondering about and now, a new comic book is going to fill in that particular blank, telling us precisely how Cassian first encountered K-2SO and liberated him from the slavery of Imperial servitude. 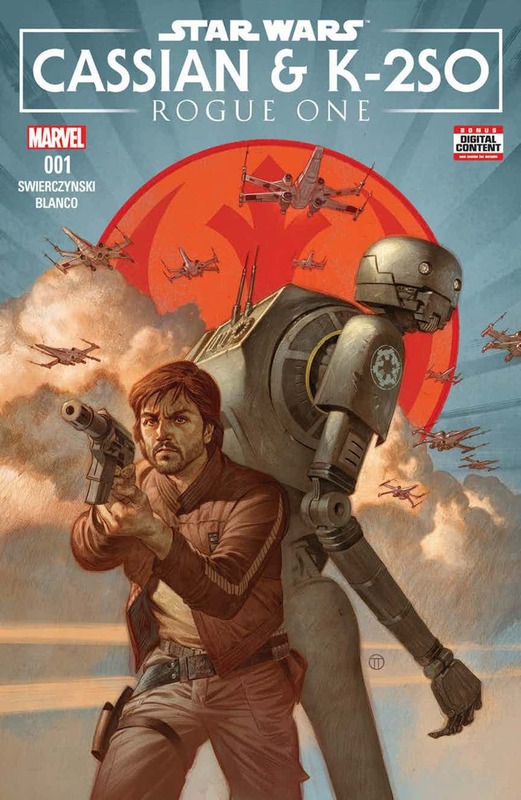 The full title is Star Wars: Rogue One – Cassian & K-2SO Special #1, to be written by Duane Swierczynski and illustrated by Fernando Blanco. As yet, we don’t know what the meat of the story is, but we do have the cover for you to check out down below, which is illustrated by Julian Totino Tedesco and shows the heroic partners back to back while X-Wings streak overhead. Pretty cool, right? Given the *ahem* somewhat definite ending that Rogue One‘s heroes encountered at the conclusion of the movie, the only way we’re going to get to see more of them is in prequel material, but this already looks like deeply promising territory for the franchise. Sure, the period between Revenge of the Sith and A New Hope is being slowly mapped in Star Wars Rebels, but as far as I’m concerned, the more we see of it the better. I, for one, would love to know how Saw Gerrara came to have a bizarre telepathic octopus as a pet. Wouldn’t you? Star Wars: Rogue One – Cassian & K-2SO Special #1 arrives this August from Marvel Comics.